September 22, 2017 – Kristen from Bear Givers and former Miami Dolphins fullback Joe Kowalewski had a wonderful time delivering teddy bears to Palm Beach Children's Hospital for their Teddy Bear Clinic. 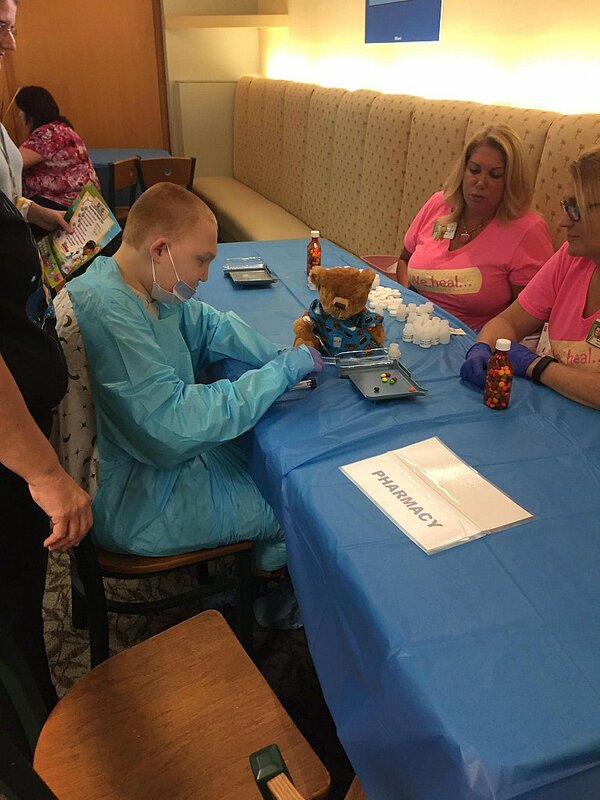 Teddy Bear Clinics encourage children to both perform mock medical procedures on and comfort their furry friends. As a result, pediatric patients can feel more knowledgeable and relaxed about their own treatments. Patients became doctors to treat our teddy bears who were suffering from a serious case of cuteness, which warmed everyone's heart.